Thaye Dorje claimed to be the reincarnation of the Karmapa Lama. New Delhi: A senior Tibetan lama at the centre of a long-running row over one of Buddhism's most important titles has abandoned the monkhood altogether after marrying a childhood friend in India, his office said Thursday. 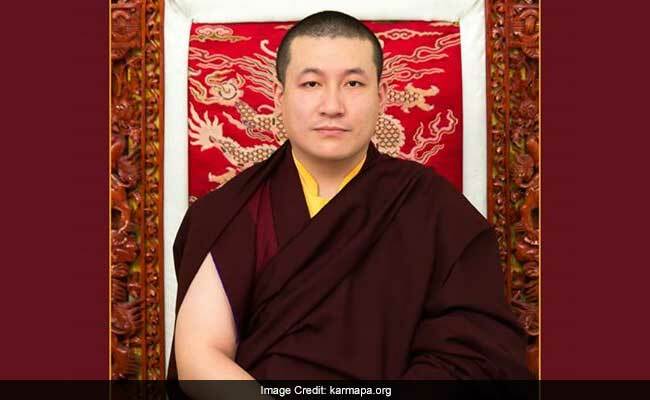 Thaye Dorje, 33, has claimed since childhood to be the reincarnation of the Karmapa Lama, the leader of one of the four major schools of Tibetan Buddhism. But many adherents of the Karma Kagyu school of Buddhism follow another monk with a rival claim to the title, Urgyen Trinley, who is recognised by the Dalai Lama. The disagreement has long split Tibetan Buddhists, but on Thursday Thaye Dorje's office made the surprise announcement that he had married in a private ceremony in New Delhi on March 25, and abandoned the monkhood. "I have a strong feeling, deep within my heart, that my decision to marry will have a positive impact not only for me, but also for the lineage," the statement quoted Thaye Dorje as saying. "Something beautiful, something beneficial will emerge, for all of us." Thaye Dore will continue to fulfil the role of the Karmapa, including by offering teachings and blessings to students around the world, his office said. His new wife, 36-year-old Rinchen Yangzom, was born in Bhutan and educated in India and Europe. Under Tibetan tradition, monks identify a young boy who shows signs he is a reincarnation of a late leader. Thaye Dorje was born in Tibet and his own father was a high lama, while his mother was descended from Tibetan nobility. According to his official biography, he was just one-and-a-half years old when he started telling people that he was the Karmapa. In a 2012 interview he told AFP the disagreement over the Karmapa title "tests one's courage in terms of devotion". The Karmapa Lama is not the only senior Tibetan Buddhist title to be disputed. In 1995, China's atheist government picked a young boy to be the Panchen Lama -- a role already filled by another boy chosen by the Dalai Lama. The Dalai Lama's choice was detained by Chinese authorities at the age of six and has not been seen since. The Panchen Lama traditionally plays a significant role in the choice of the Dalai Lama's successor. But China's officially atheist Communist Party has repeatedly said it has the right to control the process of reincarnation. Many Tibetan Buddhists fear Beijing may seek to impose their choice of spiritual leader after the Dalai Lama's death.